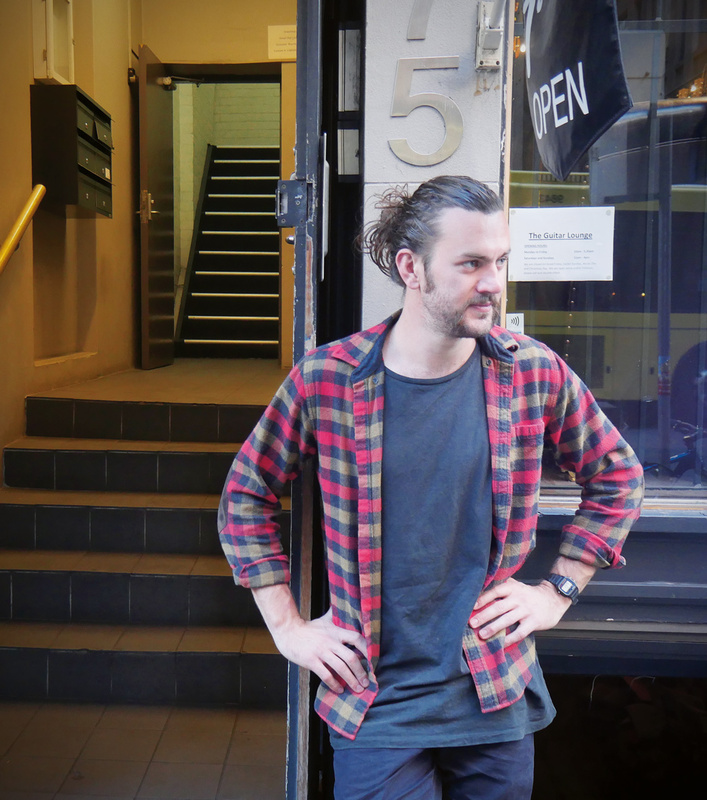 Mitch Horrocks is a Sydney-based bartender — you may know him behind the stick at Grandma’s in the CBD — and he’s also an example of the kind of bartender who has used the job to get himself through uni. The difference with Horrocks, though, is he has also spent a fair bit of his time further afield in Uganda. He’s used his product design degree to create a device that makes obtaining clean and safe water to drink simpler for families in rural Ugandan communities, and last month launched a crowdfunding campaign with a killer hospo party at Ramblin’ Rascal Tavern with the aim of getting this product to Uganda and out to the people who need it most. Now, on November 26th in Melbourne he’s doing it again with some help from the incomparable Jeremy Spencer and a ragtag bunch of Melbourne bartenders. It all kicks off at The Lincoln from 3pm on November 26. Here, and lightly edited for clarity, Horrocks tell us a bit more about the project and the journey that he’s been on, and you can check out his crowdfunding page by clicking here for more details. I came up with this product whilst I was doing my honours year for product design at UTS. It’s a clean water product — it allows people in rural African communities to boil water at the same time as cooking food. We take water for granted. I feel like unless you go to these communities, you hear online and on TV about the dire water situation in these communities but until you actually go there you don’t actually realise how dire it is, and how easy it is for us to go and get water. Here, if the tap doesn’t run, there’s something wrong — you get a plumber in and you fix it. There’s water everywhere you go. But over there, especially in there rural communities, there’s no water supply. There’s no plumbing, there’s no actual water systems. These people are relying on a couple of places to get water. One is a stream, where they’ve got a stream running through their village. Another one is a pond, or a lake, where they’ll be at the bottom of a valley and water will congregate there. And the other is a dug bore hole — a well with a pump. But a lot of those are also contaminated. Those wells go deep into the ground, and if the wall of that well is not strongly built, if it’s cracked, you’ve got farm animals uphill, and they’re doing their business on the grass and that’s travelling through. You’re basically getting contaminated water anywhere you go. It’s a big part of their life — everything they do revolves around water. And if you don’t have clean water, it’s a dire situation. It creates what I call the cycle of sickness. When I was there, the mothers would say to me, “my child is getting consistently sick.” We’d go to the water source and find a stagnant pond, or a very poorly run water well. I’d ask how long they are going to boil this water for, and the mother would say that usually she doesn’t boil it. It’s hard for us to say to these people that you should boil the water, you know that’s the problem. We don’t live the lives they live and they have all sorts of different issues whether it be time, or whether it be dry timber, to be able to use the fire they’ve already used, to stoke that fire and put another pot of water on there for half an hour to where it’s actually drinkable — it takes time. They don’t have a lot of time, they don’t have a lot of energy. On average in Uganda, it takes half an hour to reach a water source, no matter if it’s a pond, a lake, or a water well. If you think about it you’re carrying a 20 litre jerry can for half an hour. Especially for children under five years old, because they haven’t built up any immunity to the diseases that are in this water, they are particularly vulnerable. And unfortunately the mothers don’t see that — they just see that their child is thirsty, there’s a jug of water, they’re going to give them that. When they have their pot of food on the fire, they put another pot upside down on top of that — it’s to keep the steam in that pot. That’s when I noticed there was some product interception where you could use something to perform the same task as the upside down pot, but using the steam energy to cook another pot on top of that. My product is just sheet metal, it costs $1.50 to make, people in the villages can make it themselves, it doesn’t require any industrial processes — it just requires a hammer, tinsnips, and sheet metal. I first went as part of a school trip. We had a connection with an orphanage in Uganda, and the opportunity to go during a holiday with 10 of my mates and a teacher. We went to this orphanage and built a teacher’s house, and then we went travelling for two weeks. When I finished in high school, I went to Uganda and volunteered, came back, volunteered again. I really wanted to make my major project about helping the rural communities in Uganda. Bartending has been a great way to obviously pay for uni, but also take your mind off uni. I think I’ve bartended full time most of the time I was actually studying. It’s good to meet people, network, and have fun. I see myself, once I finish this Uganda project and I know everything in Uganda is set up, I can come back and it’s either doing a few nights in a bar somewhere and slowly transition into a product design role somehwere, or looking for donors to keep our Uganda project going.